How to get there: The coordinates for the summit is South 32.39.560, West 70.05.317, this is my GPS measurement at the summit. 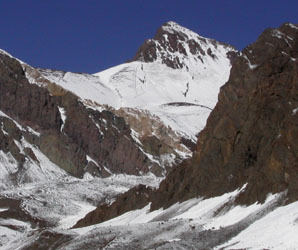 The starting point for this climb is Base Camp, Aconcagua, Plaza de Mulas. See Aconcagua for more details. 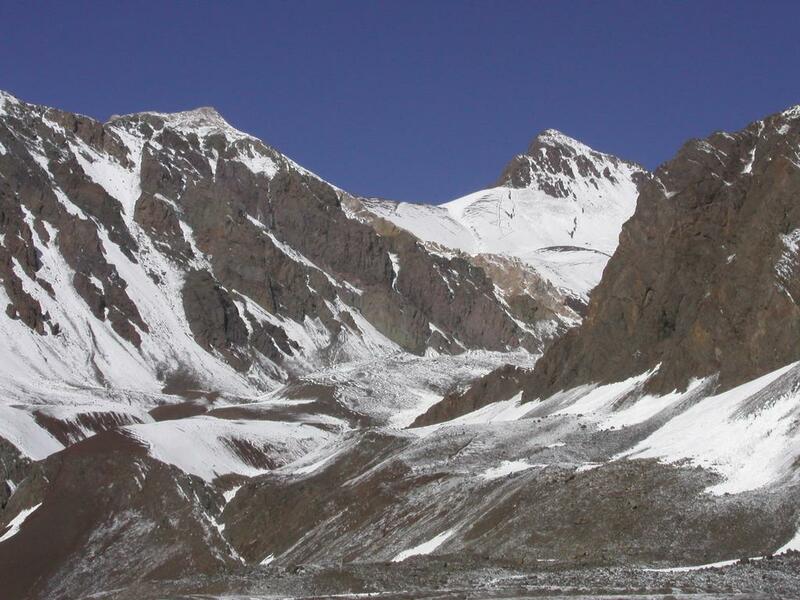 Route description: The route to this summit starts at the Hotel, about 15 minutes away from the Base Camp. The route follows a trail all the way to the summit. This trail first heads up a steep, loose slope in zig-zags, then starts in the valley on the right hand side. The trail subsequently crosses the valley and continues its climb to the base of Bonete. From here the trail climbs up on the shoulder right below (slightly to the left as seen from the valley) the summit. From this point the trail traverses right, just above a snow field, just below the steep upper part of the summit. The trail is easy to follow as it climbs back on the upper ridge and reaches the summit. The climb should be rated class 1+ on the YDS scale. Comments: I did this climb with my son, Tor Erling, on a beautiful day that everybody had believed to be a "bad weather" day. The climb took us only 2.5 hours up, we spent a full hour on the summit. 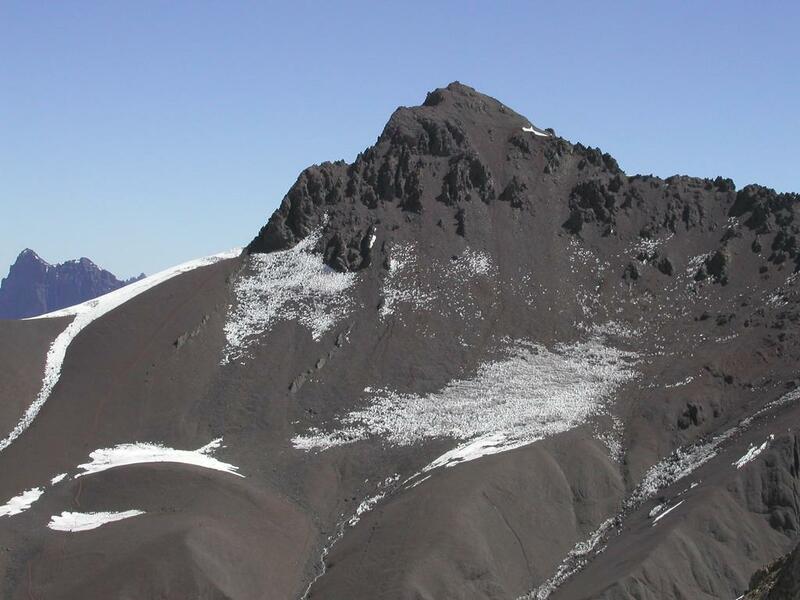 Cerro Bonete, is the distinct peak in the middle. Cerro Bonete, as seen from high on Catedral. Note how much snow has melted since the previous picture was taken.